In the past, bell pepper growers with bacterial leaf spot issues have relied on cultivars with resistance to races 1, 2, and 3, but in recent years have started to adopt new cultivars with resistance to races 1-5. 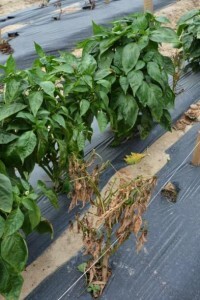 Dozens of pepper growers recently gathered at the Rutgers Agricultural Research and Extension Center (RAREC) in Bridgeton, NJ, to learn about the latest seed and fungicide products for controlling Phytophthora blight in peppers. In addition, Wyenandt said bacterial leaf spot has become the second biggest threat to pepper production behind P. capsici in the last decade. 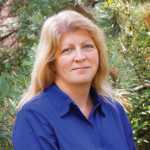 “New races of bacterial leaf spot have been found in New Jersey in the last 10 years. Prior to 2004, only bacterial leaf spot races 1, 2, and 3 were present. Since 2004, bacterial leaf spot races 4, 5, 6 and most likely 10 have been found in the state,” he says. Test plots of the new Seminis bell pepper hybrid, Turnpike, were among the many pepper varieties being evaluated at the Rutgers’ research farm. Given these evolving disease challenges that area growers have been facing, Seminis bell pepper breeder Bill McCarthy has worked for many years to develop new products with improved disease resistance. McCarthy says Turnpike is a promising new option for these growers. 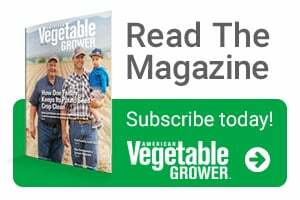 “Despite the fact that both Phytophthora blight and bacterial leaf spot are issues for growers, Turnpike has performed well and looked strong in the test field,” he added. It needs to be checked also grafted pepper plants which can bring solutions for disease problems.